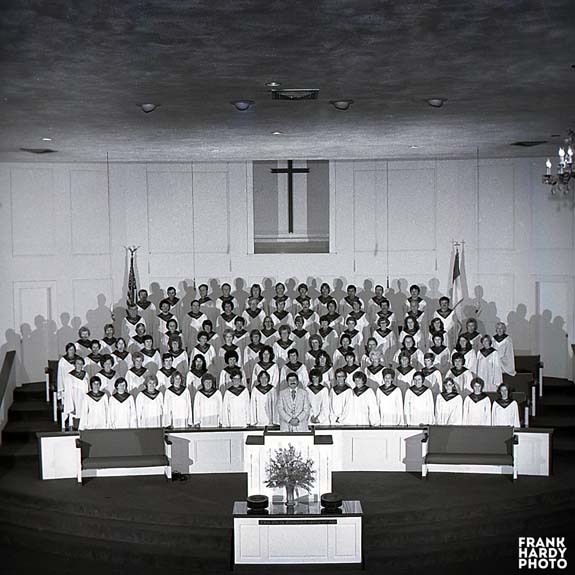 This is the adult choir at Olive Baptist Church back in the late 1970’s. This used to be a part of our business that used to be a good part of our business was photographing these large groups of people. I would say that we would photograph forty or fifty groups a year back in the 1970’s and 80’s. Around the mid-1980’s, the market changed and the camera manufactures started selling better quality amateur cameras and one hour photo processors opened. We did not sell many individual photos to the members in these type of groups, but we did do well with high school reunions, family reunions and the like. But when the 1990’s hit, most of these groups either had a church member or a family member or a close friend that had a “nice” camera and made photos.